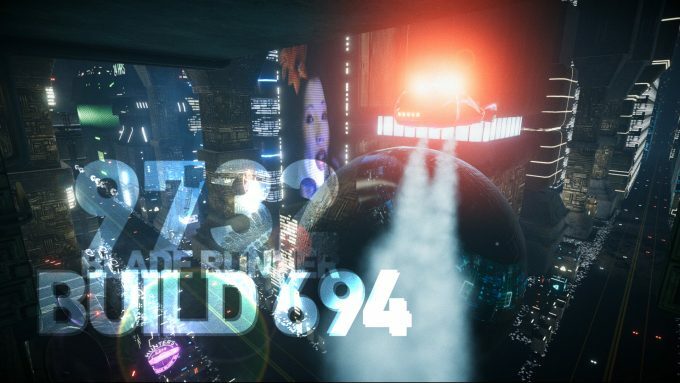 We check back in with Blade Runner 9732, a stunningly detailed fan developed VR recreation of Deckard’s iconic flat from the original film. The project was recently updated showing some incredible progress, but despite its near final status, there’s one snag which is holding up its completion. It’s been a little while since we last checked in on Blade Runner 9732, a one-man project that started as a technical exercise and blossomed into a quest to recreate one of sci-fi’s most iconic movie locations. With the sequel to the 1982 original, Blade Runner 2049, now confirmed for release this year, we thought we’d check in on a project we first covered over 2 years ago. Blade Runner (1982) director Ridley Scott’s obsessive attention to detail when it came to set dressing made for dense, layered scenes littered with carefully placed, hand picked objects which may only appear fleetingly (if at all) in the movie, but were instrumental in bringing to life his vision of a dystopian future. It also means the film is rich pickings for those wishing to go about recreating that world. In Creative Software Engineer Quentin Lengele‘s case, Blade Runner 9732 began as an exercise in sharpening his 3D modelling skills, specifically 3DS Max height maps, even more specifically wall tiles found in Blade Runner protagonist Deckard’s apartment. “It was just a height map test on wall tiles in 3D Studio Max. It quickly turns into a modelling challenge to reproduce all the assets of Deckard’s apartment and a view on Los Angeles streets,” said Lengele of the project’s origins. New lighting setup. No more Direction Specular Ligh[t]map, only Directional. New Reflection Probes setup. Less probe instances, high quality only when needed. 2. Add a few more details on buffets.” But one crucial step may have to wait, the final up to date VR port of the experience. Sadly Lengele doesn’t possess a current generation VR headset, just a now obsolete Oculus Rift DK1. Help your startup grow. Learn a ‘new topic’ — fast!